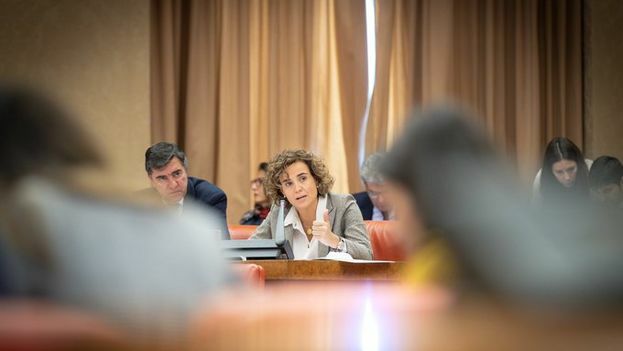 14ymedio, 29 January 2019 — The representatives of Spain’s Popular Party (PP, opposition) this Tuesday presented a parliamentary initiative in which they requested explanations on “the possible evidence of modern slavery” in Cuban medical missions abroad. In a non-legislative motion that will be debated in Congress, the PP invited the Cuban government to repeal the “impediment to enter the country” from the doctors who left the missions and asked the Spanish government to apply “measures of political asylum” for those professionals. The initiative, which appeared signed by the spokeswoman Dolors Montserrat and the representative Carlos Rojas García, is based on another motion for a resolution presented in the United States Senate on January 10, 2019 affirming that the Cuban government’s medical missions abroad constitute human trafficking. In the US Senate’s report are detailed several restrictive measures suffered by the Cubans serving abroad, among them restriction of movement, retention of passports, prohibition from having their families with them, and threat of imprisonment for abandoning the job or not returning to the island after completing it. The PP explained in its motion to the Spanish parliament that, after reading the resolution of the United States Senate, it considered “that all of the mentioned assertions, as well as the rest, are scrupulously truthful” and then included other elements that were produced by their own investigations that added arguments to the decision. As a consequence, it proposes that the Congress of Representatives urge Spain’s government to demand that Cuban authorities explain “the denounced facts constituting human trafficking and modern slavery” and that it recommend the modification or elimination of a set of current legal instruments that violate internationally recognized labor rights. The proposal will be debated in the Spanish parliament in the course of the next few weeks. Non-legislative motions generally have a political character and seek to formulate proposals before the chamber that do not have the character of a law, but rather urge the Government to carry out some concrete action or express the feeling of the Congress regarding a particular subject. Next Next post: "When We Left We Had No Ceiling in the Living Room, and No Walls"